Once a month I have a few of my daughters’ little friends over for a craft day. My girls love doing crafts, and having a day set aside on the calendar helps keep me accountable to prepare some fun things! 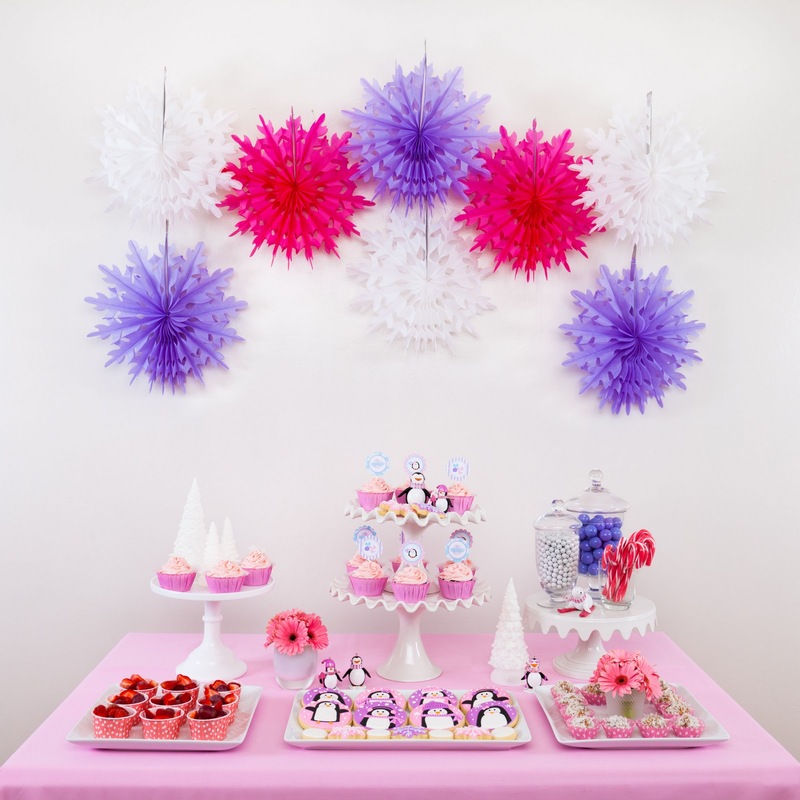 This month we used craft day as a good excuse to have a special winter party! Last year I saw some cute penguin wrapping paper that inspired this whole party. 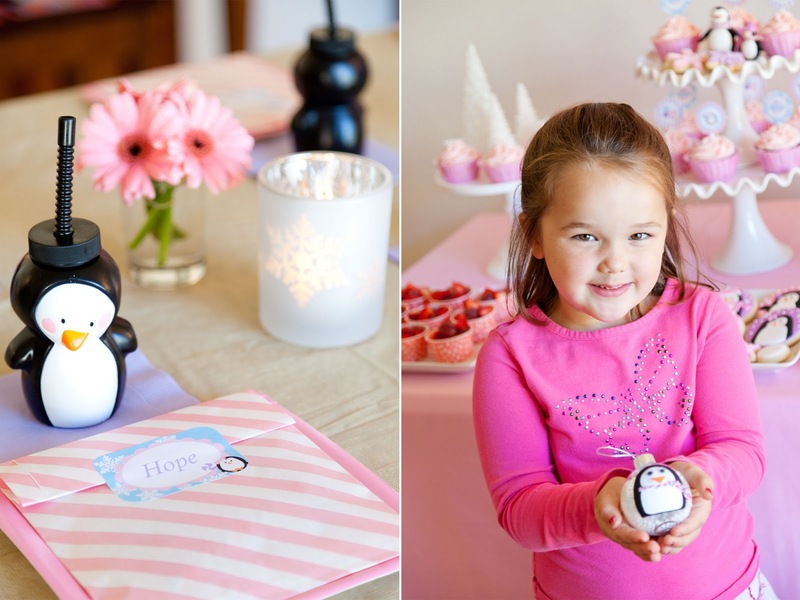 I’ve been gathering pink and purple penguin items for several months and had a great time seeing it all come to life! 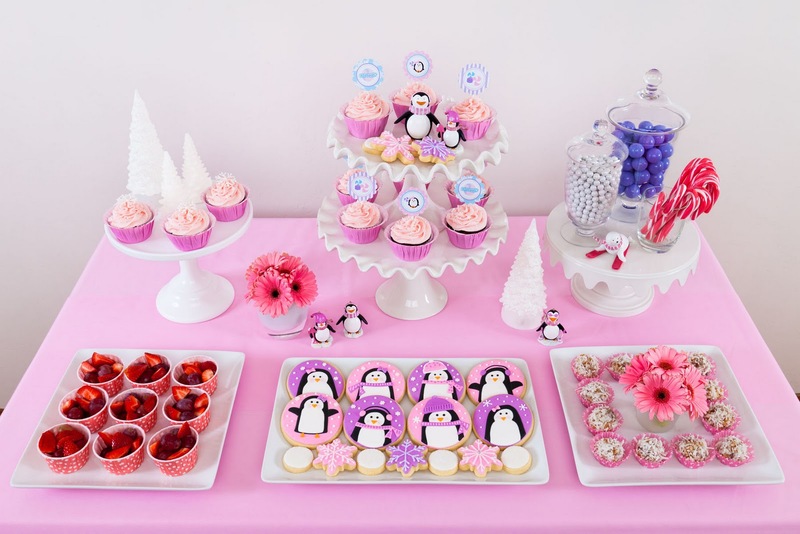 Please enjoy our Pink and Purple Penguin Party! 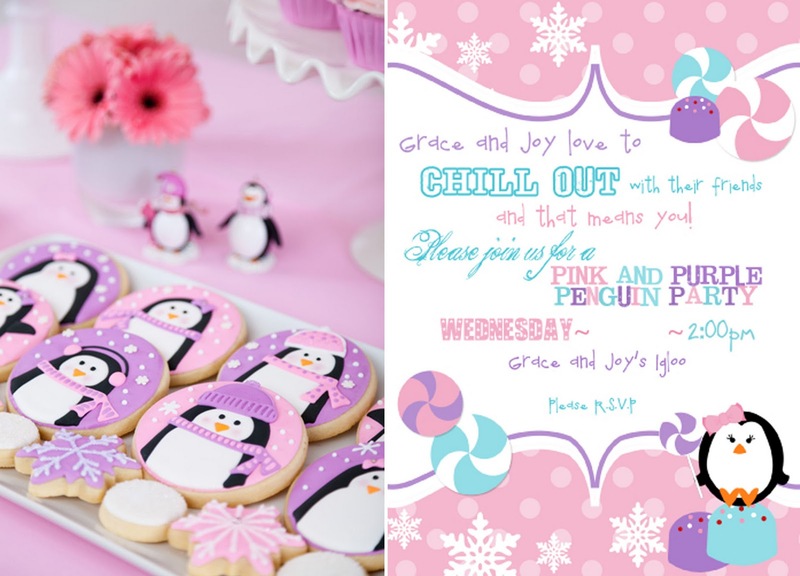 I shared my color and theme ideas with Fresh Chick Design Studio, and they created an adorable set of invitations and party printables to pull together the theme! A few days before the party I got to work on some fun penguin cookies. I loved how they turned out! I decorated two styles of cupcakes, some were topped with paper toppers from Fresh Chick Design Studio, others were topped with delicate royal icing snowflakes (how-to here). I made cute cookies to pull the theme together. I used my favorite Sugar Cookie recipe, and I’ve posed the full Pink and Purple Penguin Cookies decorating tutorial. 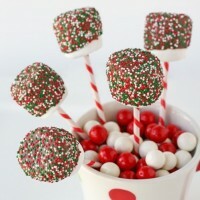 (Left) One of my favorite holiday treats, Coconut Snowballs. Cute little penguin figurines (my husband found for me at Hobby Lobby) look quite happy surrounded by sweets! 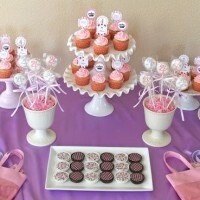 In addition to the sweets table, I set up a table for guest to enjoy their snacks, and work on crafts I’d prepared. Crafts included an ornament (shown by Joy below), and a penguin note card. 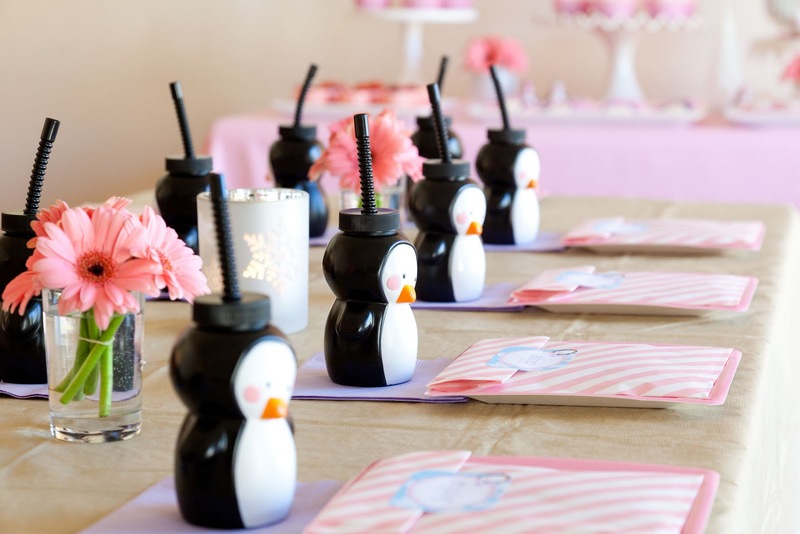 Each place setting included a cute penguin cup (from Wal-mart), and a favor bag labeled with their name. The favor bag included a little notebook, mini pen, and candy stick. 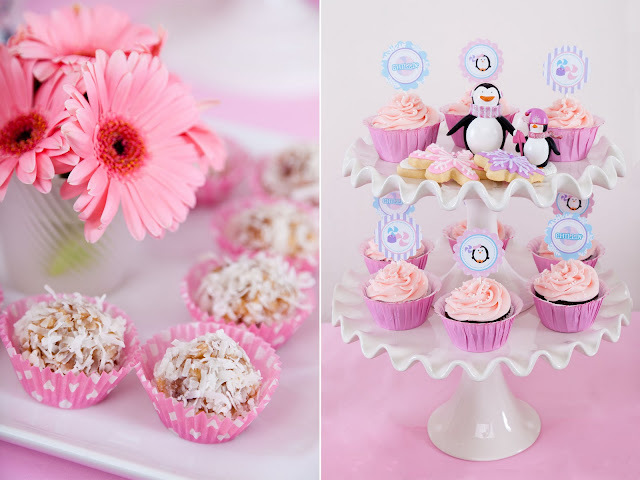 I included tiny vases of pink gerbera daisies along the table. 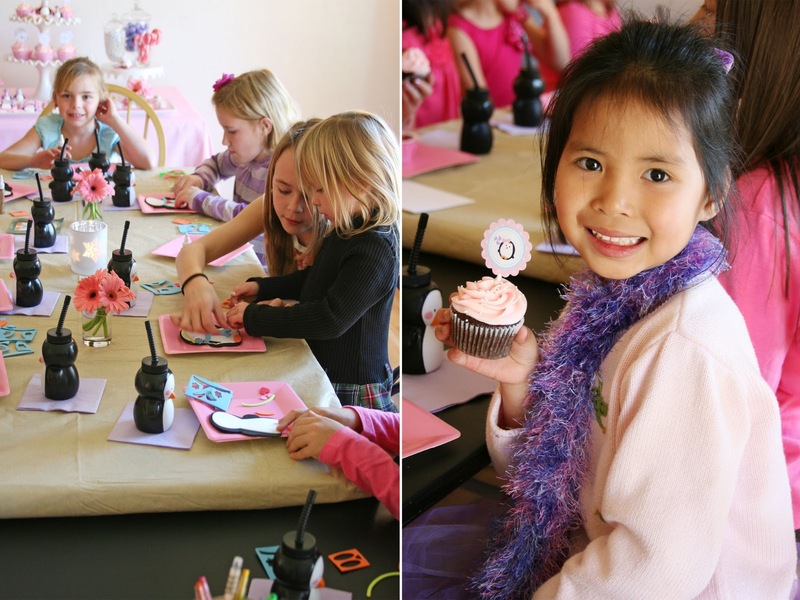 The girls enjoyed an afternoon of sweets, crafts, and friendship! Oooh yay!! I've been so excited to see your penguin party! Everything is total perfection, Glory! You should be thrilled with the results. And awesome photography. So pretty! OMG. If this is how you organize everything for a casual get-together for your daughters, I wonder how grand their birthday parties are!!! 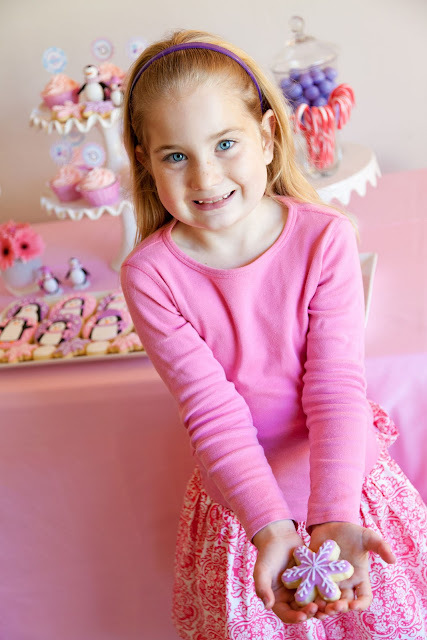 Wonderful photos of bakes & all the other arrangements! Your daughters' friends must have had a great time together, with everything arranged so perfectly!!! Im flabbergasted. Ive never seen such a cute theme for a bunch of girls. The colors and everything look AMAZING. Boy…I bet these girls will remember this for a loooooooong time. Amazing Stuff here!! Love your blog. What a super pretty party. I LOVE the penguin cookies and the overall color scheme is gorgeous. Nice find with the penguin cups as well. Glory, you really rock at everything you do! I love this winter party, it is simply stunning! Glory!! I love your blog, for this kind of things you make!! Amazing! I cant believe what i see! I love this kind of dessert tables! Kisses and a big big hug from spain! Love this! Such a lucky girl! Way too cute, your lucky girls! Glory – you are such an inspiration! Everything you touch looks Amazing and so Magical!! Love all the little details. Your girls are going to have the best memories of their childhoods!! omg, that's so fairy and magical. What a wonderful project. I love it all and thank you for sharing such goodness. i want to be part of that party!! Amazing! Is there anything you can't do?! Every little girl's dream! It's all so pretty. I look forward to your posts. What an adorable party, including the girls:) Love the penguin cookies! This looks amazing! 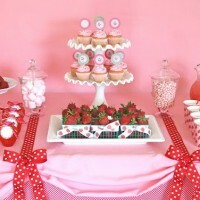 I would LOVE a party like this, bet the other moms get nervous when they have your daughter round for parties! Love it all! Oh Glory! I am a 44 year old woman but I wish I was your little girl!! How wonderful that you do all of this for them! They will remember it their whole life long. I just stumbled upon your blog and I can't believe how incredible your work is. Your cookies, your decorations, your ideas! So much time and love put into everything you create! What a lovely party. I never use penguin as a theme for a party, and that I'm looking at yours, it's absolutly a wonderful idea. 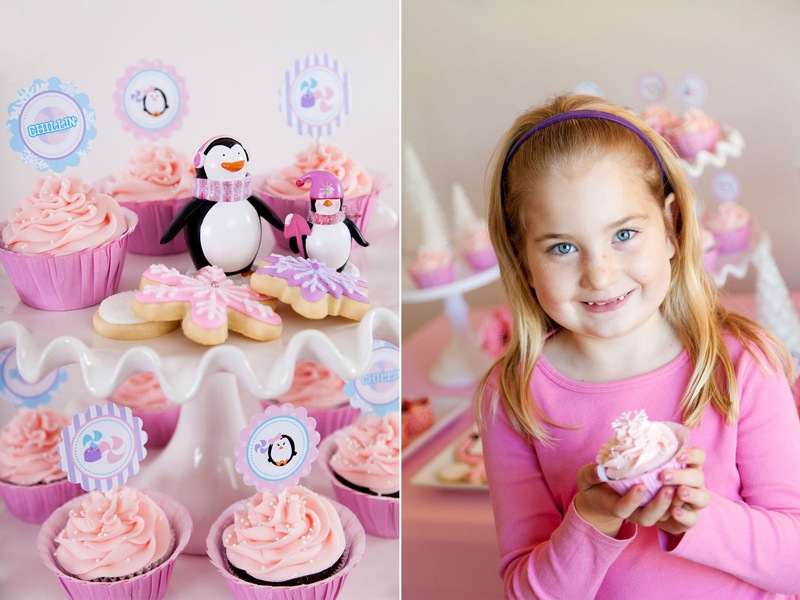 Love the penguin cookies… you are seriously skilled! 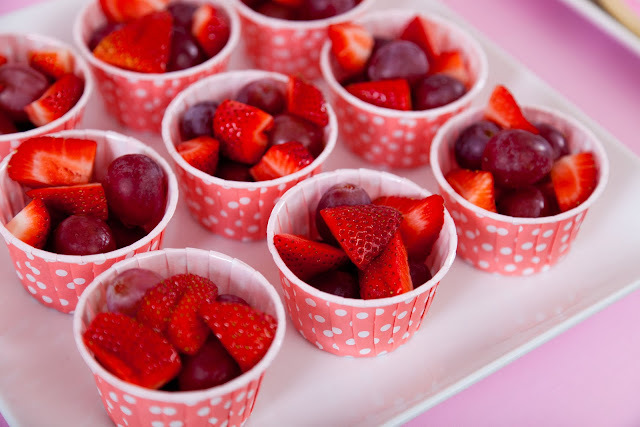 OMG..My sister would love these. I am so not crafty. Can you make them and ship them to me? Seriously. Beautiful beyond words! So excited for the cookie how to!!! I love your parties. 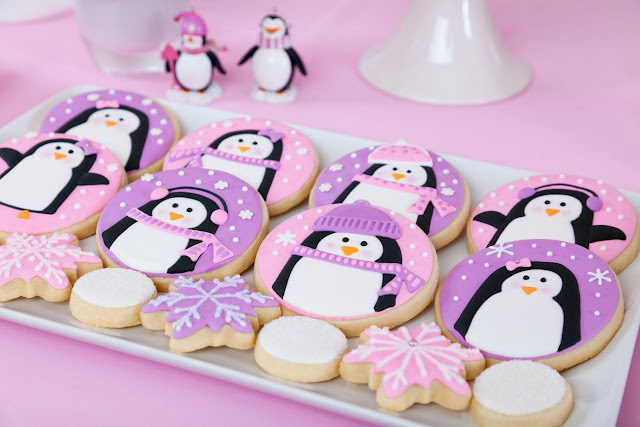 The penguin cookies are darling! Just adorable!!! What a fresh, beautiful take on the holiday season!! I can't believe you went to all this work for a little girls' party! That is so awesome, I'm sure your girls loved it! It will make for great memories!! You are so smart and creative, Glory. It must be so fun to watch the kids faces light up when they see all of the amazing things you've set up. 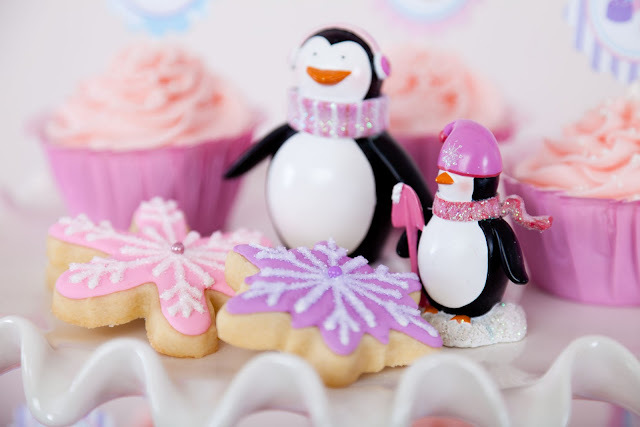 The penguin cookies are adorable and I can't wait to see your how-to. SO adorable GLory! OMG can you adopt me? I'm speechless! You are amazing and you made a fairy tale dream come true for several sweet little girls. That's a memory they'll never forget! Glory, I thought a professional stylist had come in and done this for you. Then I see that YOU did everything! Just beautiful work, every detail is perfect! Great job! This is so great! I love that it's wintery and girlie, very fun! oh my so cute looks like they had alot of fun!! 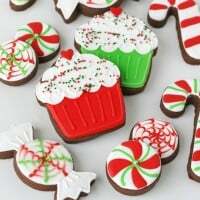 love love the cookies!! Beautiful!!! 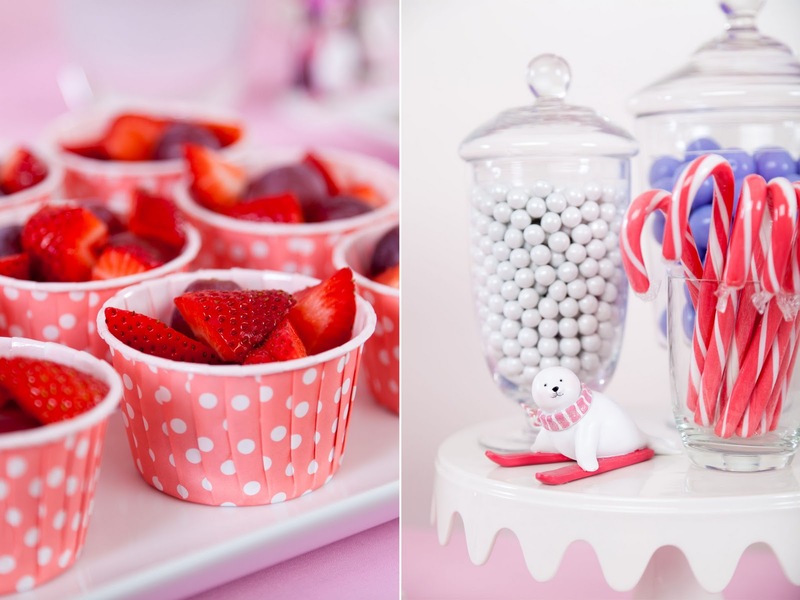 Your kids must think you the BEST MOM EVER I love all the colors….just stunning! Another fabulous job as always! 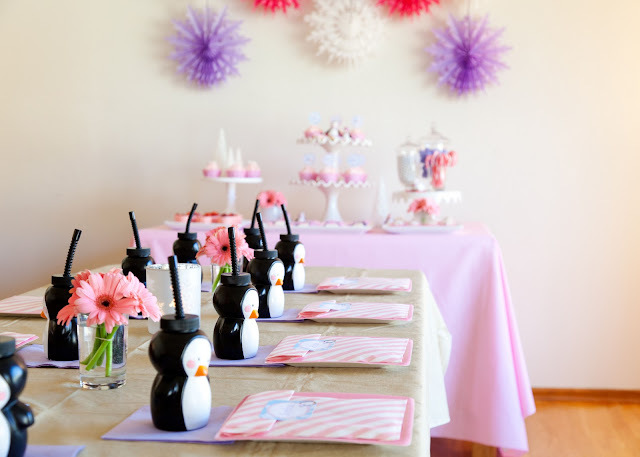 I'm working on a penguin-themed party post and would love to share with my readers! Love it! Can you tell me when you got the penguin cups. Any chance they might still carry them or do you think they are seasonal?? ?